We’re thrilled to announce that our latest brand, Agent’s Army, has just launched to the market. 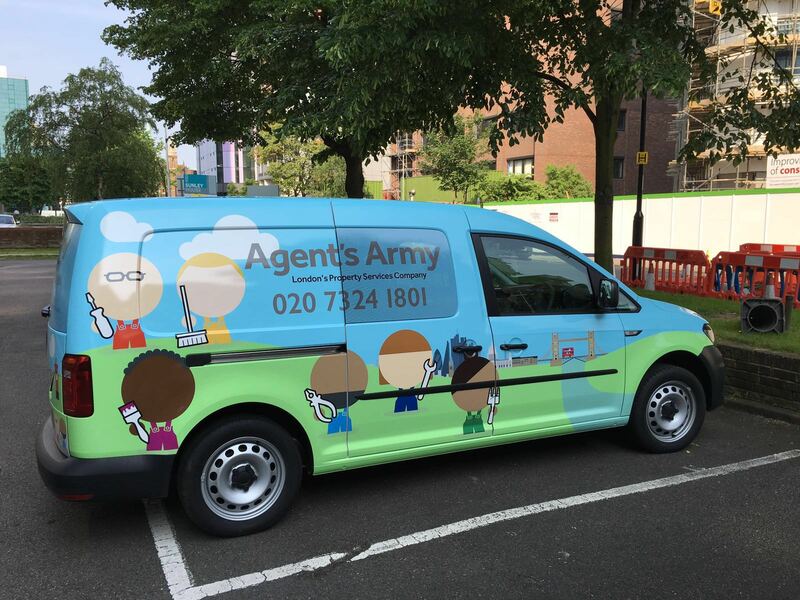 Agent’s Army offers property services including maintenance, start-and-end of tenancy cleaning and decorating exclusively to London’s letting agents. Previously known as Lawton Moule Cleaning, we gave them a radical new brand and identity to help them stand out of the crowd. Alongside a name designed to reflect their focus on agents who truly value their landlords, we created an eye-catching and characterful illustration style designed to get noticed and to demonstrate their personable style. The brand has been rolled out through a new website and a full suite of brand collateral, including a very dashing fleet of vans that we hope you’ll spot whizzing their way around London in the near future. To check out our full work piece on Agent’s Army, click here.